Non-binding top and non-elastic leg for unrestricted circulation. Cushioned sole and smooth, non-irritating looped toe are ultra comfy. 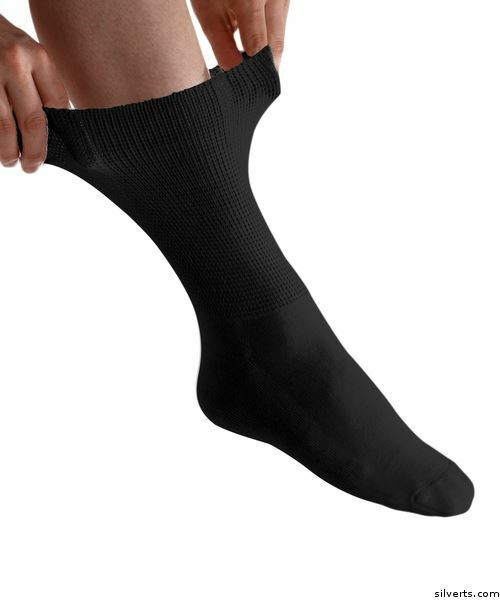 These wide fit stretch socks by Silvert are great for swollen feet and swollen ankles. Antimicrobial agents promote lasting freshness. Cotton-nylon-polyester-spandex. Terrific for Diabetes and Edema issues.